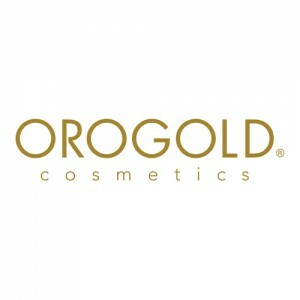 Find an ORO GOLD Store Near you! Scottsdale is a town that appreciates a well-made drink, and this has resulted in some fantastic bars opening up throughout the area over the years. If you have been wondering where to go the next time you want a tasty but creative cocktail, or a unique but local craft beer, take a look at OROGOLD’s list of Scottsdale’s best bars. The Kazimierz World Wine Bar is so tucked away from the main bustle of Scottsdale that it can be difficult to find if you have never been there before, but it is definitely worth the effort. With subdued lighting, quiet jazz in the background, and wine casks lining the walls, the atmosphere is intimate and full of mystery. Guests can choose from a wine list that features over 3200 bottles, although there is a Top 50 if you don’t feel like reading through the entire menu, and servers are happy to offer some extra guidance if you still can’t decide what to order. Live Latin and jazz bands also play here regularly, providing the perfect backdrop to a delicious glass of wine. This is an elegant bar and restaurant frequented by the glitterati, with the kitchen serving up burgers, sandwiches and salads featuring the freshest of ingredients. While the bar recreates a variety of classic cocktails, they are known throughout Arizona for their huge 10-ounce martinis, almost double the size of a standard cocktail. The choices are all extremely tempting, from the cucumber-infused English Garden Martini to the sweet and tangy French Martini. The Beverly used to be known as Mabel’s on Main, and is a bar that exudes sophistication and old school glamour with its exposed brick walls and tufted booths. The drinks menu is packed with creative cocktails, and each one of the mixologists really knows what they are doing, meaning that the outstanding quality never fails to be consistent. If you start to feel hungry, the kitchen serves up some delicious comfort food favorites, from mac and cheese to gourmet sliders, although OROGOLD would highly recommend the truffle fries. RnR is the only place in Old Town Scottsdale that offers a two-storey dining option, with a patio that gives guests unobstructed views of Scottsdale Road. There are three different bars, so you never have to wait too long for a drink, and they also have a wine cellar containing over 1800 bottles, as well as local craft beers on tap. Cocktail lovers will definitely enjoy it here, and OROGOLD highly recommends trying a speciality cocktail, whether it be the Chipotle pineapple frozen margarita or the prickly pear caipirinha. Each of Scottsdale’s best bars stands out in its own right. Whether it be because of their impressive collection of wines from around the world, or for their innovative cocktails that make use of native ingredients, you won’t be disappointed with your drink at any of these locations.